A special edition of two early Trio Sonatas written between 1750 and 1766. This was before Haydn was working in Eisenstadt and part of a series of 6 similar pieces. 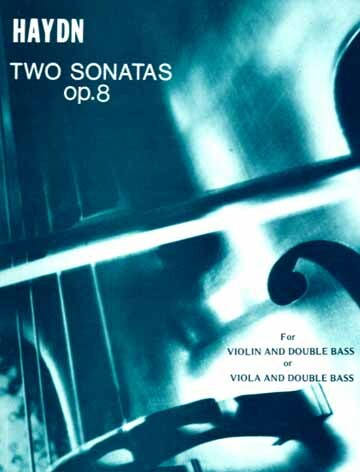 This edition retains the original first violin part - played by either violin or viola - with the 2nd violin and continuo part combined to be played by the double bass. All parts are included.